Your local barber ain’t what it used to be – a ‘blokes only’ haunt where you sat in a queue waiting for the next available guy to cut your hair. Bit of a chat, no mucking around, get it done and you’re gone. Today, the world of hairdressing is diversifying, be it into clothing or streetwear, some even offering a beer to enjoy as you wait for your cut! While Cut and Grind is definitely one of the new breed, it carries a sense of heritage far beyond its years. 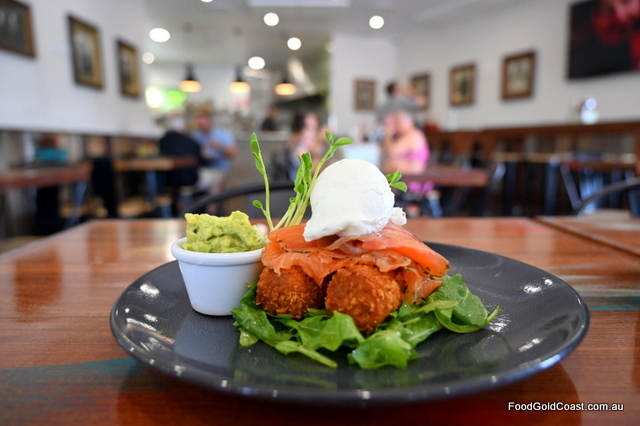 A family-owned café and unisex barber’s shop operating under one roof, the establishment references those who have gone before in family portraits on the walls, timber panelling and traditional English menu items. 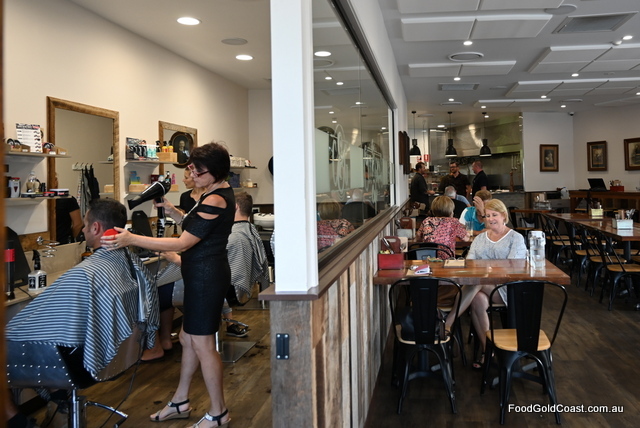 The large welcoming venue is divided down the middle by a glass panel, giving visibility from waist height into the barbershop from the café, a godsend to mothers and those who multitask. 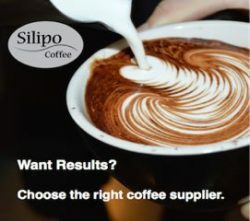 You can start the day with a haircut and coffee on your way to work or enjoy afternoon tea and read the paper, watching as your children get haircuts after school. 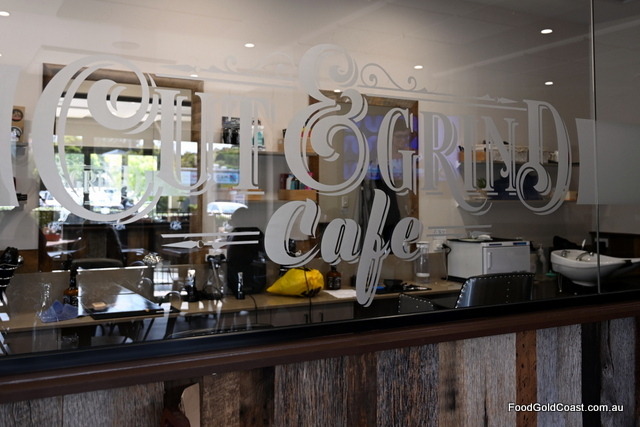 Craig Saward, who owns Cut & Grind with his wife Amanda (the barber), tells us that they got the idea for the café while Amanda was working in a Mudgeeraba hair salon. “Most of all, though, our concept was about creating community,” he adds. 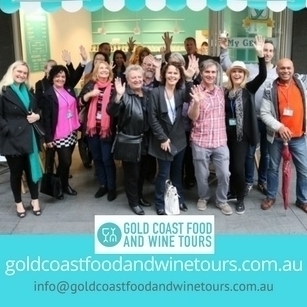 We talk about the demise of country towns where everyone knew each other and about the geographic spread of the Gold Coast, which makes the creation of a city centre difficult. “We wanted a place that helped reinvent a local ‘heart’,” Craig explains, adding that the area had a mixed demographic including lots of young families in their first homes, migrants (particularly from Britain), as well as some older citizens. Being pet-friendly (outside), offering pensioner discounts (15% from 11am to midday on weekdays), serving generous, well-priced meals (large enough for retirees to share) and the open kitchen all help to establish a return customer base, at the same time building staff involvement and morale. With old-fashioned service and chefs making everything from scratch, it’s the only British-inspired café we know of on the coast. Treacle tarts, Bakewell tarts and Eccles cakes can be bought to go or eat in. Cornish pasties and Beef and Guinness pies from the cabinet are also available and used on the menu, featuring alongside traditional (Cumberland) Bangers and mash, Fish and chips (with vinegar and tartare) and Homemade croquettes as lunchtime dishes. 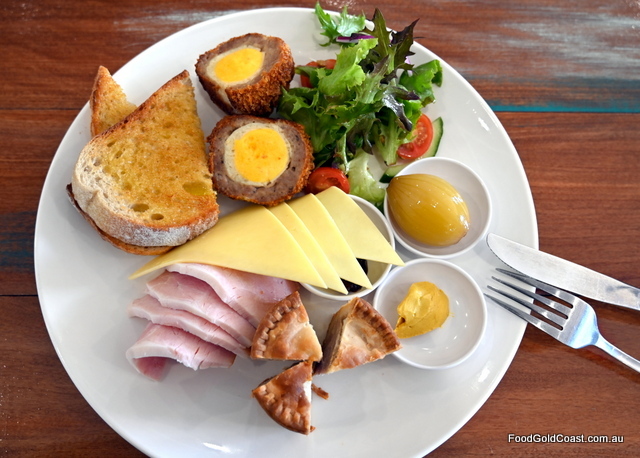 The generous Ploughman’s lunch features half a traditional pork pie (from Wensley’s, a pastry chef who has cooked for the queen), house-made Scotch eggs (which get our tick of approval), a pickled onion, cheese, Branston pickle, a few slices of local double-smoked ham served with a side of Burleigh Baker’s sourdough. 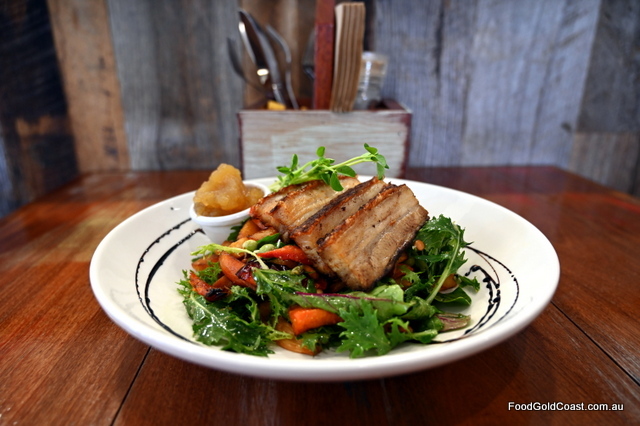 Five spice pork belly is served with a house-made apple compote. 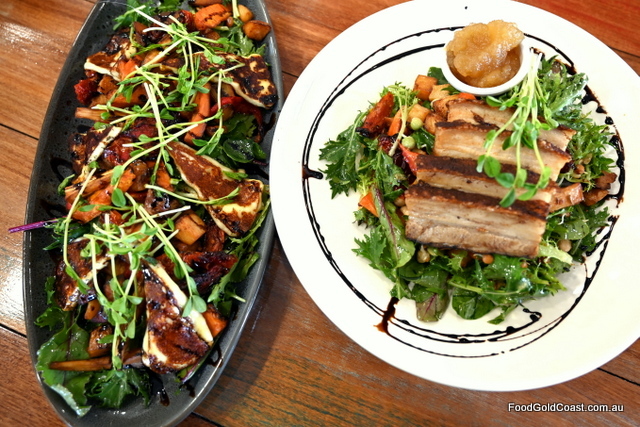 We also love the Haloumi salad, a generous serve of unexpected goodness, with roast vegies, chickpeas, mung bean sprouts and roast tomatoes tucked in between a mix of green leaves, dressed with a balsamic reduction. Open from 5am for coffee, a smooth South American and African blend from Ipswich-based Dancing Bean Roastery, breakfast trade and haircuts begin at 7am for tradies’ specials such as Bacon and egg rolls. Free range, of course! There’s Gravlax, Ricotta pancakes and even House-made granola with yoghurt and berries on the all-day menu, as well as perennial favourites such as a Smashed avo and an Açai bowl. Kick over the traces and try the Cut & Grind Big Brekkie, that includes a locally made Cumberland sausage with HP sauce and black pudding with your eggs and bacon, or a Monte Cristo sandwich (the ultimate decadent version of a Croque-monsieur)! Open less than a year, Cut and Grind is well on the way to providing a community hub. With selected night events such as movie nights and some dinners, the venue is licensed but also allows BYO for a small charge. And you can get a haircut while you wait!